My very first Jillibean Soup DT project was posted on their blog on Monday!!!! Eeeek! I am still so very excited about this opportunity!!! I am seriously still floating on cloud 9!!! 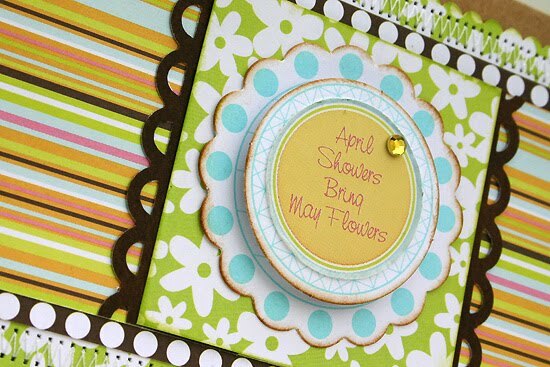 I used the super cute Egg Drop Soup papers and stickers to create it! I love the fun spring feel they have! 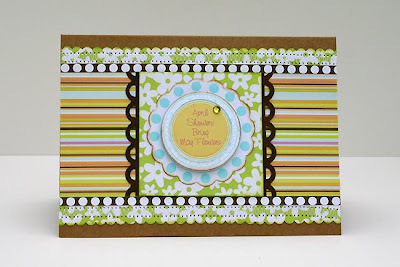 I love all the layers in this card! It's so beautiful!! !